Claimants seeking SSDI benefits for POTS and/or dysautonomia often have difficulty finding a disability lawyer who is educated and experienced in these kinds of cases. 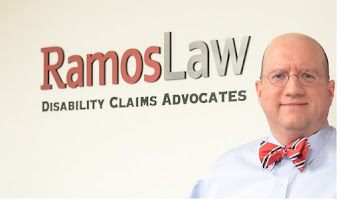 Ramos Law has successfully worked with clients with POTS who have been able to win their Social Security Disability benefits. People living with POTS may have a hard time finding a diagnosis, as it is a long process, and doctors specializing in POTS and dysautonomia are uncommon. Many POTS patients are misdiagnosed with anxiety disorders, due to the fact that POTS and severe anxiety disorders have similar symptoms. However, their causes are entirely different. POTS is caused by dysfunction in the autonomic system, and that dysfunction can have many underlying causes. Often, diseases that cause chronic pain such as Ehlers–Danlos syndrome (EDS) can be the source of dysautonomia. Other times, the cause of this syndrome is never known. It is estimated that about 80 percent of the patients suffering from POTS also suffer from Type III EDS. EDS is a genetic connective tissue disorder that causes chronic pain, constant joint dislocations, arthritis, and vascular disease. Because POTS is difficult to diagnose and largely misunderstood, POTS patients seeking disability benefits need to work with a lawyer who is educated about the condition. Judges may dismiss POTS patients’ cases because the patient appears well or because the severity of symptoms may be difficult to measure or prove. This does not mean that the often painful and debilitating nature of POTS isn’t real. If you are suffering from the debilitating symptoms of POTS and/or dysautonomia and are unable to work, feel free to call our office to see if we can help you win disability benefits.